Transition Technologies PSC would like to present application for furnishing every space, which is using a Mixed Reality technology. Our project is made for all architects and building engineers. 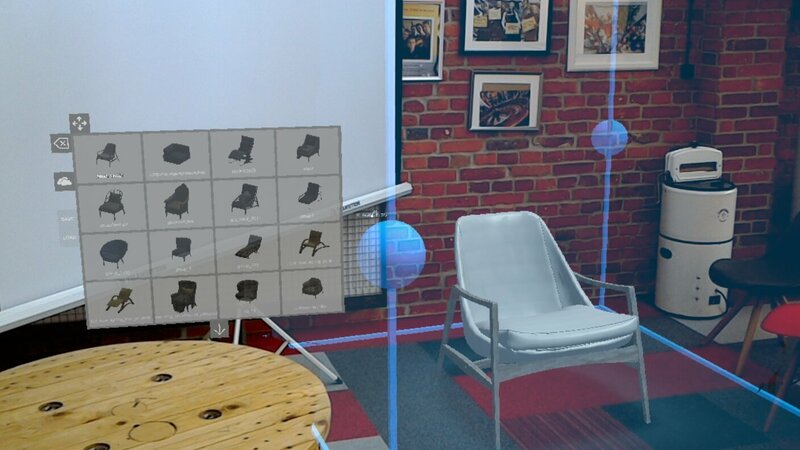 Device, which that uses this solution, is HoloLens glasses, and software, we are using is Unity app. This applications contain whole furniture base and others 3D objects that can be use in space where user actually is. This technology is a perfect solution not only for professionals, but also for all customers. In this simple way they can design they own new apartment, house or flat. Sheering the view of whole space between couples of users while retaining the option to let them seeing and operating space at the same time.